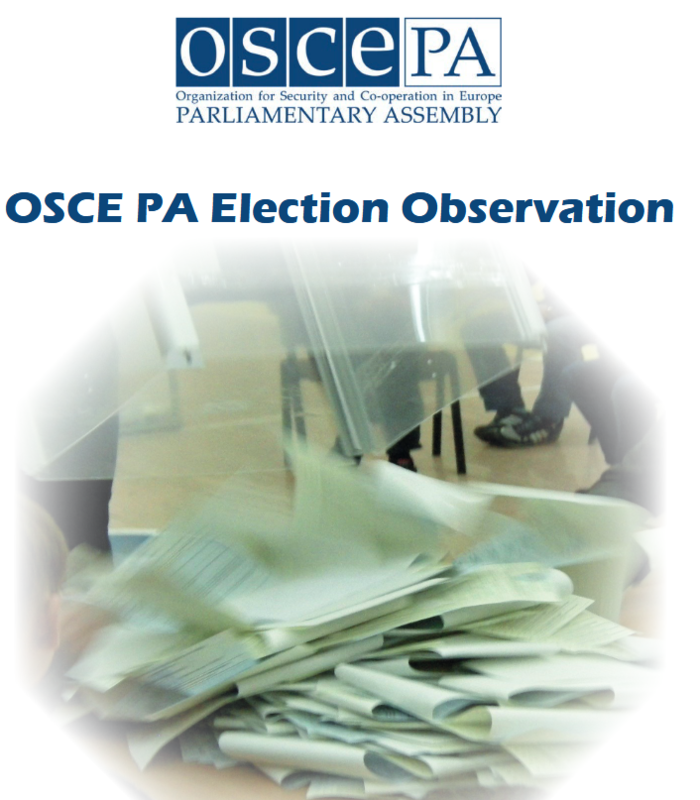 Since 1993, the Parliamentary Assembly of the Organization for Security and Cooperation in Europe (OSCE) has sent observers to more than 150 elections in its member states. This reflects a broader trend: Election observation missions (EOMs) have become very popular among international organizations, as we found out in a collaborative research project. 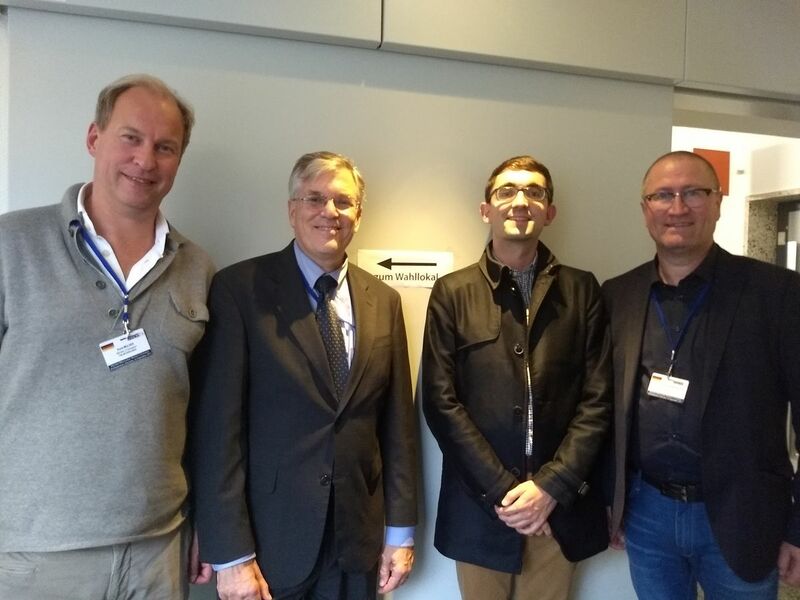 This year marked the first time that parliamentarians from the OSCE states observed a federal election in Germany. Eager to get a first-hand look at EOMs in practice, I signed up to accompany one of the teams in Berlin (and act as interpreter if needed). During election day, our group visited a good number of polling stations in the Charlottenburg-Wilmersdorf district. At each stop, the observers asked a set of questions: How many voters are registered, how many have voted so far, did anything out of the ordinary happen? We then usually stayed for a while and observed the voters come and go; while the morning was relatively quiet, we saw significant traffic in the afternoon (overall turnout was 76%). The volunteers running the polling stations (usually in teams of eight) were focused, well-organized and friendly. Still, some teams were more efficient than others when it came to double-checking voter records and setting up the room in the most favorable way. This suggests that the pre-election briefings held by the election authorities could be a little more practice-oriented. What’s the point of observing elections in a consolidated democracy? Election observation missions are only conducted with the consent of the respective government. The German federal government invited the OSCE Office for Democratic Institutions and Human Rights (ODIHR) in 2009, 2013 and 2017. But why send teams to one of most consolidated democracies among its 57 member states? In their 2017 pre-election “needs assessment” report, the OSCE experts mentioned campaign finances and the neutrality of media reports as potential issues — but strongly expressed their overall confidence in the electoral process. In contrast to 2009 and 2013, the OSCE Parliamentary Assembly then chose to send a full-fledged delegation. In the IR literature, it has been noted that international observers have become a fixture of elections around the world. Judith Kelley has argued that “once many honest governments had invited monitors, not doing so became a self-declaration of cheating”. Even for those intending to cheat, it might be more rational to invite observers and risk being caught than to face blanket criticism for the lack of transparency. Election observation thus triggers interesting cost/benefit calculations for individual states. For front-runners, such as Germany in the case of elections, opening themselves to scrutiny strengthens claims to moral leadership. Assessing all group members in the same way also counters accusations of double standards. But what happens if observers find even minor shortcomings in the procedure of self-proclaimed leaders? The laggards in the group could now point out that nobody’s perfect and accuse their critics of hypocrisy. Moreover, autocratic states could send delegates to participate in election observation abroad, signaling adherence to democratic norms without incurring real costs. It seems important to go beyond individual cost-benefit calculations and rather consider the group dynamics of peer review and potential norm internalization. Peer review is often used in international forums: not just regarding democratic elections, anti-corruption and other governance issues, but also with respect to more technical implementation issues. My day with the OSCE leaves me wanting to learn more about signaling, reputation and peer pressure in the context of heterogeneous groups. Recent blog posts by Sebastian Elischer and Alexander Noyes have revived the debate whether Coups d’Etat – the accession of the military to the presidency of a country – are ‘good’ or ‘bad.’ I argue that this discussion is not very fruitful. While those who argue that Coups can be ‘good’ sometimes refer to the consequences of Coups for the overall political regime, most of those who say that they are ‘bad’ make a principled argument saying that perpetrating a Coup is, in itself, bad – regardless of the consequences. Only the first understanding allows probing into the effects of Coups. In order to evaluate their effects on the (violated) core feature of democratic regime (the selection of a head of state or government), it is useful to understand how and why military governments stay in or withdraw from power. This opens the research agenda to include military internal, domestic, and international factors. The confusion in evaluating whether Coups are ‘good’ or ‘bad’ stems from two different points of measurement. In one perspective, the act is evaluated; in the other, its consequences are measured. If the core of democracy is defined as accession to the presidency via free and fair elections, then the act of a Coup itself cannot be democratic. It is a violation of a democratic principle and therefore – by definition – ‘bad for democracy’. But if the purpose of a Coup is considered, then a Coup might make a regime more ‘democratic’ after some time at least. This latter point warrants expansion: most countries where top executive leaders are determined through elections have a constitutional provision to use violence to prevent the abuse of power. Article 20(4) of the German Basic Law, for example, reads: “All Germans shall have the right to resist any person seeking to abolish this constitutional order, if no other remedy is available.” This is an attempt to prevent the rise of another autocratic regime. Such clauses recognize that formally democratic systems (selection of head of state via elections) may erode into political systems where the rights and institutions that the democracy is supposed to protect are systematically violated. In such a situation, a Coup d’Etat can theoretically lead to a system where fewer violations take place. While the act itself violates democratic principles, the purpose aims to protect them, and therefore can be justified. If this second understanding is adopted, then it is an empirical questions what effects Coups d’Etat can have on the nature of political systems. While it is relevant to inquire about the overall effects of military government on the liberty of the press, the respect for human rights, or economic performance, for example, the main question in order to determine whether there is a chance for establishing a democratic form of government via free and fair elections is whether the military stays in or withdraws from power. The question is thus no longer about an overall effect on ‘democracy’ (which is determined by many other factors as well such as the independence of judicial institutions or a free press), but rather centered on the military itself. When does the military stay in power after a Coup d’Etat, and when does it withdraw? When re-centering the attention on this question, three explanatory factors come to the fore. The first concerns the role the other soldiers play. Whether a military is united and features values of civilian supremacy is likely to impact on whether it will reduce its involvement in government after a Coup d’Etat. In the thirteen Coups d’Etat in West Africa from 1990-2014 (without the Coups in Guinea-Bissau), this explanation does, however, only have limited leverage. In about half the cases, the setup of the military does not explain its continued rule. 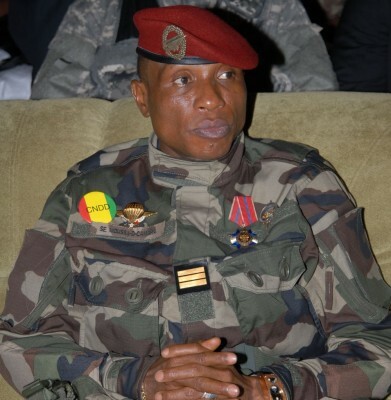 A clientelist military in Guinea in 2008 withdrew from power, while a similarly constituted military in Togo in 2005 held on to power and the Coup President is still ruling today, for example. Other domestic actors, especially the extent to which they can exert pressure on the military in government shapes the governments’ decision to withdraw from or stay in power. The examples of Guinea and Togo show, however, that extended pressure by civil society actors is necessary but not sufficient to enable a military withdrawal. This is only possible in conjunction with the involvement of external actors who are jointly voicing their preference for military withdrawal. External actors do play an important role. They can, for example, use coercive power in order to remove the military leadership from government – as has been done after Coups in Sierra Leone in 1997 and Guinea in 2008. But they can also adopt a variety of negative material incentives (such as an arms embargo or travel and financial restrictions) but also positive material incentives (such as an increase in Official Development Assistance or unconditional loans) as well as positive and negative immaterial incentives. They also engage the military leadership in processes of persuasion appealing to their considerations of appropriate behavior. The effect of such instruments depends, however, on the unity among external actors. When China provides a 100 million dollar grant to the military government in Guinea, then the suspension of official development aid by the US, the EU, and EU member states to the fraction of this amount is unlikely to have any (material) effect on the leadership. But it is true that China does not always support military governments (in Mali, for example, it contributed troops to the UN peacekeeping mission). Neither is it the case that ‘Western’ powers and organizations always support military withdrawal (France’s involvement in Niger 1996 is a case in point). Next to individual countries, international organizations have to be considered as well. African organizations like the African Union or the Economic Community of West African States have far-reaching mandates to react to Coups d’Etat and have used these extensively to contribute to a decrease in the degree of military involvement. They act on par with the traditional external actors on the continent. Whether Coups ‘are good or bad’ is thus not the most interesting question. It is more fruitful to ask under what conditions and how the military leadership withdraws or stays in power after a Coup d’Etat. Especially the unity of a domestic opposition and external actors are shaping this decision – almost regardless of military internal factors. Under what situations military withdrawal contributes to free and fair elections or broader results such as economic development, good governance, or more equality would need to be subject of another research agenda. Kai Striebinger wrote his PhD dissertation on the question how and under which conditions international actors contribute to the decision by military governments to either withdraw from or stay in power after Coups d’Etat in West Africa (1990-2014). He is currently a researcher at the German Development Institute. AU Commission headquarter and Peace and Security Council buildings in Addis Ababa. At the end of October, when the streets in Ouagadougou were filled with protesters calling attention to a reverberating crisis that is not unique to Burkina Faso, the African Union convened the 3rd High Level Dialogue on Democratic Governance in Africa in Dakar, Senegal, themed “Silencing the Guns: Strengthening Governance to Prevent, Manage and Resolve Conflicts in Africa”. This was the third workshop in a series of meetings organized under the auspices of the Department of Political Affairs (DPA) of the African Union Commission. While the inaugural High Level Dialogue in November 2012 was broadly framed as “Governance and Democracy in Africa: Trends, Challenges and Prospects”, the follow-up consultations focused on constitutional order and the rule of law in 2013 and the governance-conflict nexus this year. On Friday, Benjamin J. Cohen gave a talk at FU Berlin. Cohen, who is a professor of International Political Economy at UC Santa Barbara, is probably most famous for his work on the Geography of Money. He was invited by the KFG and the International Research Training Group “Between Spaces” to talk about the future of the euro as an international currency. 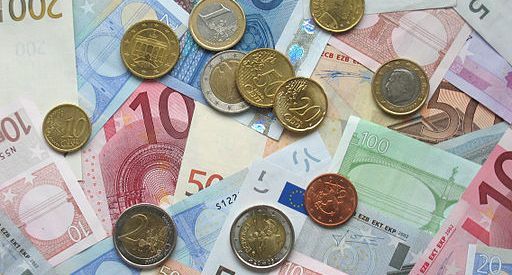 As the somewhat pessimistic title of the lecture – “The Euro Today: Is There A Tomorrow?” – suggests, this was not meant to be a pep talk for worried Europeans. In fact, Cohen’s short answer to his own question is: No, the euro will not bounce back from its current crisis, but instead face a “long, lingering slide into marginality”. First, some preliminaries: Cohen was not talking about the future of the currency as such, but specifically about the euro’s role as an international currency: To what extent will it be used by non-members of the eurozone – not as a substitute domestic currency (“dollarization“), but for international purposes? More technically, the question is about the use of a currency as a unit of account, store of value, and/or medium of exchange. To put it short, the argument here is that the euro is nowhere close to the dollar both in scope (which functions it fulfills) and in domain (where / by whom it is used). Natural resources have been in the news a lot recently, if you’ve got an eye out for that kind of thing. Guatemala has declared a state of emergency in the South-East of the country after protests erupted over a proposed silver mine. 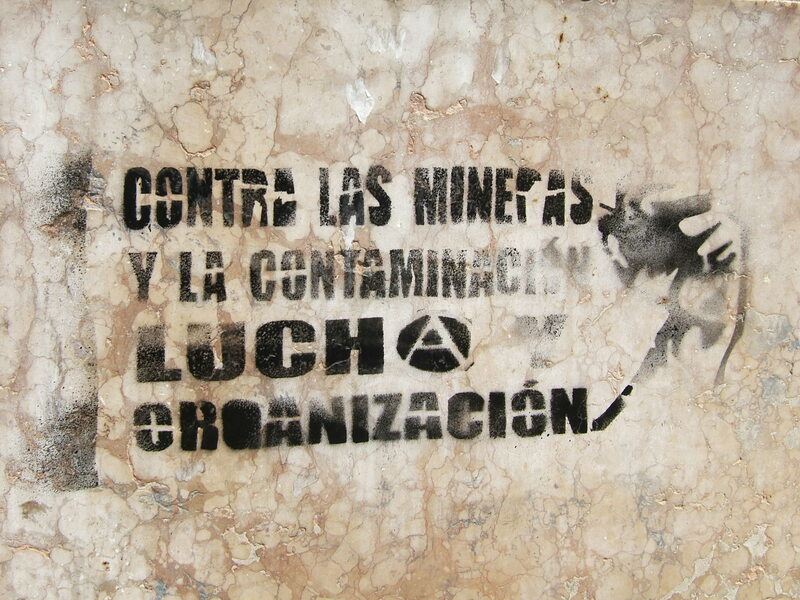 A recent report by Canadian NGO Mining Watch has shed some light on the role of the Canadian Embassy in Mexico played in supporting Blackfire Ltd., a company that was implicated in bribing local officials and allegedly had a role in the murder of a local anti-mining activist. Meanwhile Peru has announced that it has re-evaluated its methods of dealing with anti-mining activity after massive protests led to a number of deaths last year. Apparently the government will now place a greater emphasis on mediation rather than the more repressive measures used to deal with conflict in the past. Finally, Foreign Affairs and the BBC have given a lot of coverage to Mongolia’s emergence as mining’s “final frontier” and subsequent tensions between Rio Tinto, the government and local communities. Francis Fukuyama’s commentary “How should we measure governance?” has provoked a series of replies at the governance blog, inter alia reactions from Bo Rothstein, Thomas Risse, and Shiv Visvanathan. This might be a good starting point if you want to think about governance as such or the quantification / measurement problem in IR. An article about desperate grad students who turn to external career advisors in order to improve their job prospects in academia has upset Steve Saideman. So, just don’t do it and go to your supervisor instead, is what he’s advising. On the American side of the pond, positivist or game-theoretical behaviorist or rationalist modeling approaches dominate the literature; it’s just silly, from my perspective. It’s based on assumptions which bear no relationship to the real world. People like it because it’s intellectually elegant: they don’t have to learn any languages, they don’t have to read any history, and they can pretend they’re scientists discussing universals. Intellectually, it’s ridiculous. OK, let’s turn to the regionalism stuff.